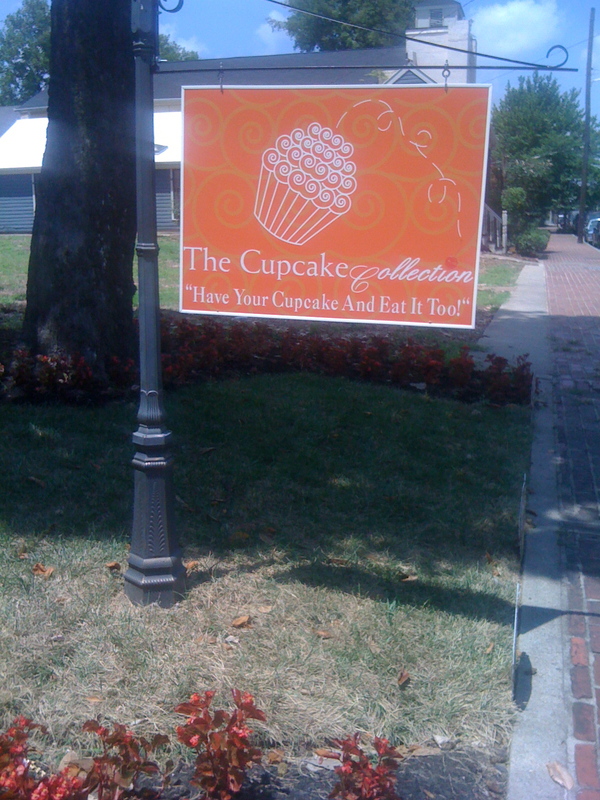 As I headed downtown for some lunch today, my husband unexpectedly turned down a road and brought the car to a stop proclaiming, “We’re here.” Let’s just say I was more than a little confused, that is until I saw a sign reading “The Cupcake Collection” in front of a small purple brick home. Already impressed with the husband, I had no idea the cupcake heaven that awaited me. Only open from 11-3 on Sundays, there was a decent sized line wrapping around the small porch. Lucky for us the line moved quickly, which is good because the smell wafting from the kitchen every time the door opened was teasing my taste buds. This small, family-run bakery was even named the number one bakery in this year’s Toast of Music City. The Cupcake Collection features cakes that are delicately fluffy and frosting that has just the perfect amount of sweetness. We had to try a good handful of flavors and decided on (from left to right) top row: sweet lemonade, strawberry, red velvet, bottom row: wedding cake, strawberry lemonade, chocolate. Left absolutely speechless over the strawberry lemonade cupcake it’s needless to say we will be getting more than one cupcake of this flavor next time. 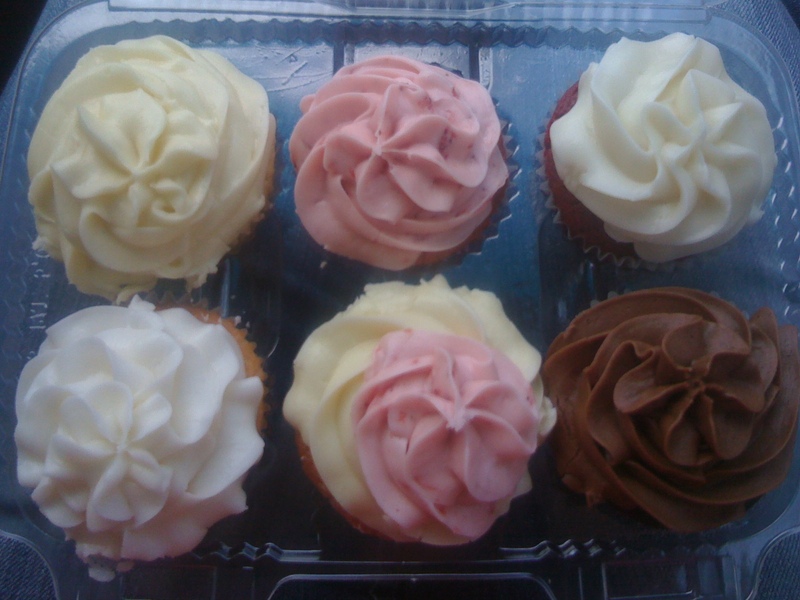 The ratio of strawberry to lemon and frosting was absolute perfection. Plus, at only $1.50 per cupcake at least your wallet won’t feel bad for ordering one or two extra, your diet may not feel the same way though. On top of all this, the youngster running the register on a busy day acted like the long line was no sweat. It definitely wasn’t his first time, and we wonder if owner Mignon Francois taught him everything she knows. Get to know her and her “testament” about the creation of The Cupcake Collection in the clip below, it’s certainly worth a listen.